​Peer Builders is designed for early learners to encourage language development and social interactions through structured activities that create opportunities for spontaneous peer play. The curriculum is based on the program “Do – Watch – Listen – Say” created by Kathleen Quill, Ed. D. This group will be taught using direct instruction, modeling, and role – playing. Peer buddies will be incorporated into each session to reinforce and model the new skills. ​Play, group skills, and community social skills will be targeted. Participants will learn how to attend in a group setting, follow group instructions, play cooperatively, and communicate their wants and needs appropriately. Skill lessons will be targeted based specifically on the needs of the children enrolled and your child’s unique social goals. Handouts will be sent home that include information on how to practice these skills at home and in the community. It will be important that you follow up on these skills in order to increase generalization to other settings outside the center. ​To optimize learning opportunities, we group your child with 3 - 6 peers who have similar skill levels of cognitive ability, receptive language, social pragmatics, and expected social behaviors. The level of cognitive ability is the most important factor we consider when grouping children together. Children being able to relate to others in their group is most effective when teaching skills and building friendships. Groups may vary in age and gender. The actual skills taught will vary depending on the needs of the children in the group. To better serve your youngster, we ask that you share your thoughts about what social skill goals you feel are priorities for your child. Parents are asked to select no more than 4 skills/goals to work on. Research shows that if we work on a small set of goals for a period of time, we will get better results than trying to work on too many goals. Each group meets once a week for 2 hours, for a total of 4 group meetings per month. Please see our current group schedule for specific group days and times. Due to an increased interest, we will continue to offer our current social groups as well as arrange additional groups based on community need. Our program closes for most public holidays and we also occasionally close for scheduling and curriculum planning. ​During calendar time we will identify the weather outside, the appropriate attire for the outside temperature, identify the seasons, months, and days of the week. We will use a variety of Velcro matching activities to practice these skills. Our music therapy will be used to support emotional, cognitive and social development and increase communication attempts between peers. Passing and sharing instruments, music and movement games, gathering around a central instrument, learning to listen and singing of greetings are just a few of the ways our music therapy time can increase interaction. We will utilize role-playing and discussion to generalize appropriate social skills within different settings. During groups, we will emphasize interventions that will allow your child to understand social inferences. Social stories will be simple descriptions of everyday social situations. This will help to reduce problem behaviors, and make everyday social interactions more fluent. These social stories will be used to teach children key information about social behavior that they might not pick up from daily experience. 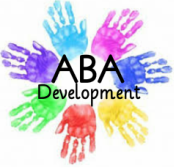 We will work on specific social skills while working one-on-one or in a 2:1 child to staff ratio setting that will support the goals and curriculum of your child. The goals of this small group are individualized and modified using your child’s IEP. Our Sensory Room will provide activities that help organize the sensory system by providing vestibular, proprioceptive, auditory and tactile inputs. Special LED lights, tubes of bubbles, a variety of sounds and much more provide a full multi-sensory experience for your child. Through play, children should be developing their gross motor skills to prepare them for the demands of school such as handwriting, concentrating, following instructions, sport skills and team work. We will include activities using our trampoline, ball pit, scooters, a crawling tunnel, and free standing therapeutic swings. Participants are children who are needing assistance in social settings and peer interactions. This may include trouble making friends, keeping friends, or connecting with peers, difficulty attending in a group setting, following directions, or listening to others. We incorporate planned group lessons, individual social goals, and fun, interesting activities that give children a chance to learn, practice, and integrate new skills. How do I get my child enrolled? New friends are accepted into our programs if space is available. Parents are welcome to attend a Registration Event or contact us for a 15 minute intake appointment and tour of our facility. What is the enrollment fee? At the time of enrollment, parents are required to sign a tuition agreement and pay a fee of $37.50, which represents one group session. This fee will be applied to the last session that your child attends. Tuition for each social skills group is $150/month. This fee includes registration, an assessment for social goals and group placement, and all parent handouts. The monthly tuition of $150 may be paid in full, or it may be divided into two payments of $75 each. Please contact us for a fee schedule. Invoices for Social Skills Groups will be sent directly from QuickBooks to your email address. With a QuickBooks Invoice, you can securely pay your Invoice online with a “Pay Now” button. We now provide you with the free option to pay by ACH Bank Transfer. Payments may also be paid by personal check, cash, money order, or credit card. Any questions about invoices or billing should be directed to our Business Office page or via email: TreasurerABAdev@gmail.com. While we do not accept insurance, we will provide you a monthly invoice receipt to assist with submission of documents to your funding provider if applicable. Some families have been successful in having our services reimbursed through employer Flexible Spending Accounts and others have been able to receive grants through other organizations. While we understand that emergencies occur, we ask for 24 hour notification of absence. We are unable to provide a refund for missed sessions. Make – up groups can be arranged if possible but not guaranteed. What are your policies and procedures? We ask all parents to read and review our Parent Handbook. Please see attached file. *If your child has seizures / at risk for seizures, please fill out and submit the “My Seizure Plan” form when you Register your child for Social Skills Group. * Please share any other specific medical concerns / allergies with us as well.